The Rare Disease Symposium is for medical professionals only. It’s a chance for those doctors with experience and knowledge of Mastocytosis and MCAS to share this with doctors with limited experience and knowledge. Meet with colleagues from many disciplines to learn about the latest research and treatments for conditions such as Mastocytosis, Mast Cell Activation Disorder and Hereditary Angioedema from eminent HAE and mast cell specialists including Dr Clive Grattan MA, MD, FRCP; consultant Dermatologist from the UK. 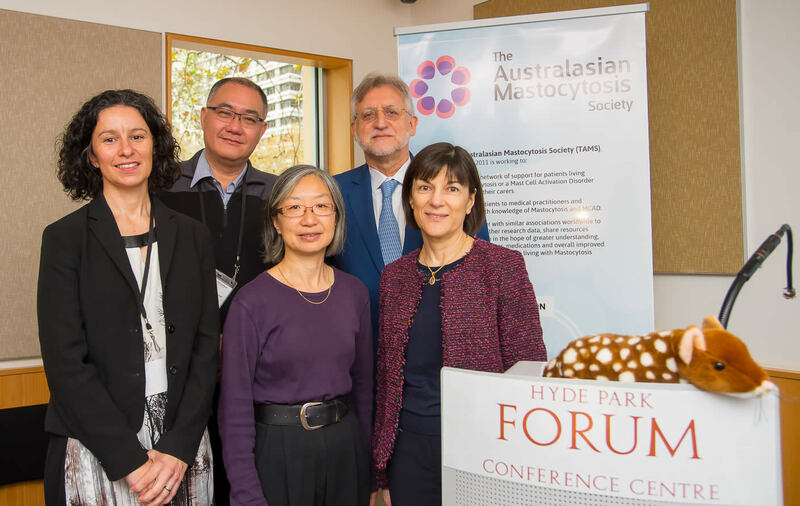 TAMS is always working to ‘connect the dots’ of knowledge about Mastocytosis and MCAS in order to bring about better outcomes for those living with this condition. Special thanks to Professor Connie Katelaris for her support of TAMS.